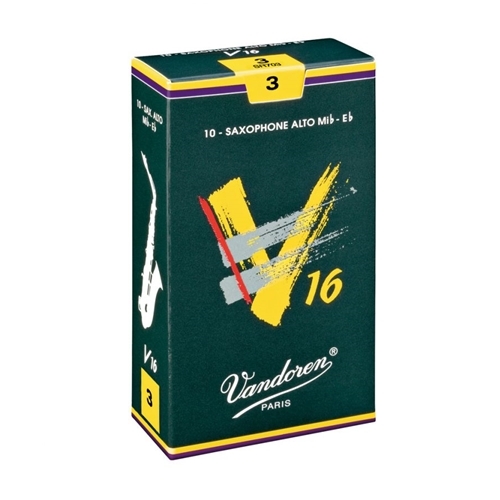 Vandoren V16 - Alto Saxophone Reeds No.2.5 Sound: more brilliant, more percussive, particularly well adapted to all the new styles of music. Launched in 1993 to answer the demand of some American jazz musicians (a JAVA with even more wood). The V16 has a thicker tip than the traditional Vandoren reeds and a longer palette. Sound: more brilliant, more percussive, particularly well adapted to all the new styles of music.